Data as a Service helps businesses to store data in centralized place often know as data lakes where data is aggregated,cleansed and enriched before offering it to applications ,mobile users or different systems – irrespective of where they were via APIs. The APIs can further me governed and metered to adapt a pay-per-use model. 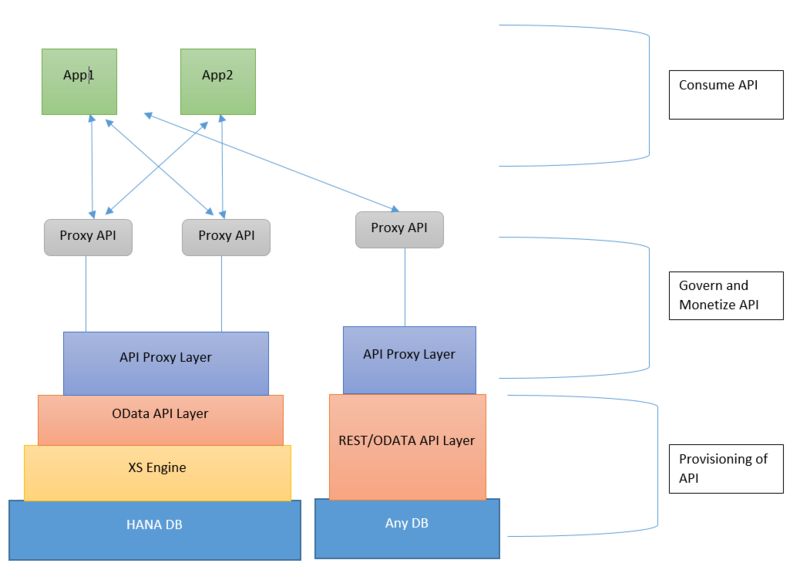 Here we are going to take the advantage of SAP Cloud Platform Trial Account to create a database in the HANA DB and then expose this data as an OData API with the help of HANA xs engine. But first we need data . We are going to use the Nutrient data offered by USDA which contains the Nutrient information.Click here to download the csv file. Once downloaded use the as SAP Cloud Platform Trial Landscape to log-in to your account.->Databases & Schemas. Create a db and then go to the ‘SAP HANA Web-Based Development Workbench‘->create a package named nutrient..within the package the following files are to be placed. IMPORT FROM  'nutrient.csv' INTO  "nutrient::NutrientOData.NutrientDetails"
After the above code is activated the OData service should be up and running. The following url should give all the data https://***.hana.ondemand.com/nutrient/NutrientService.xsodata/Nutrient. This ends the provisioning of the OData API. The next part is to govern and monetize this API upon consumption.